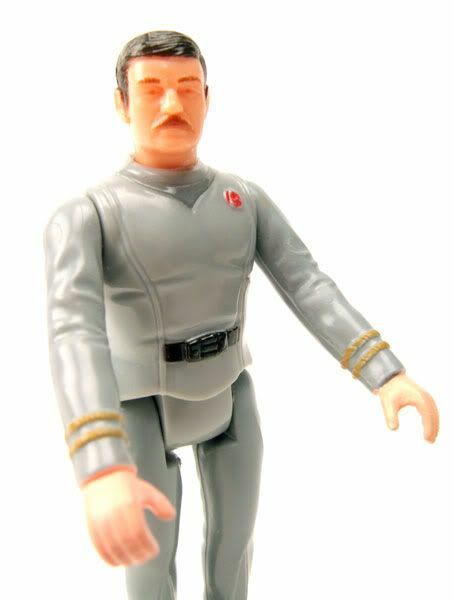 The Mracle Worker here was released carded as part of Mego's 3&3/4" Star Trek: The Motion Picture line. Check out that beauitiful cardback art! 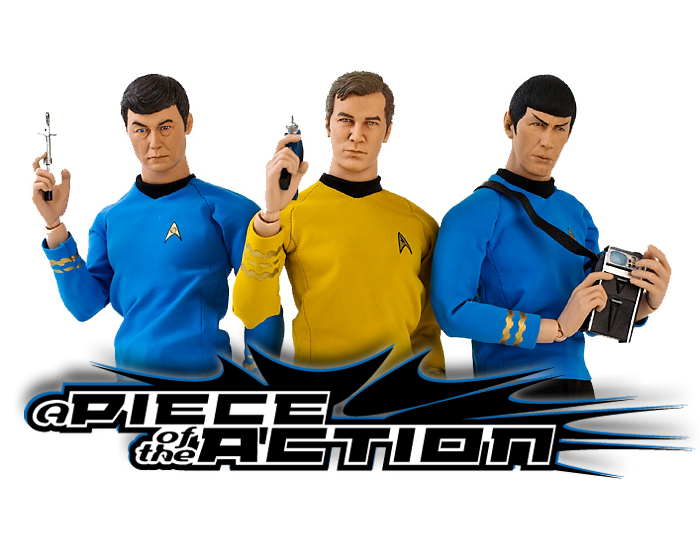 The Rundown: Mego worked in 3 different scales with the Trek license; 8" figures based on the original series, 12" and 3&3/4" for The Motion Picture. The 3&3/4" figures are really cool and I absolutely love that scale (which is why I am very excited to see the brand new movie figures in that scale as well). It's great for playsets, and Mego did a really great bridge to go along with these figures (which will eventually get a spotlight as well). The outfit sculpt is really nice, and the head sculpts on the entire line are really well done and capture the actor's likenesses well. 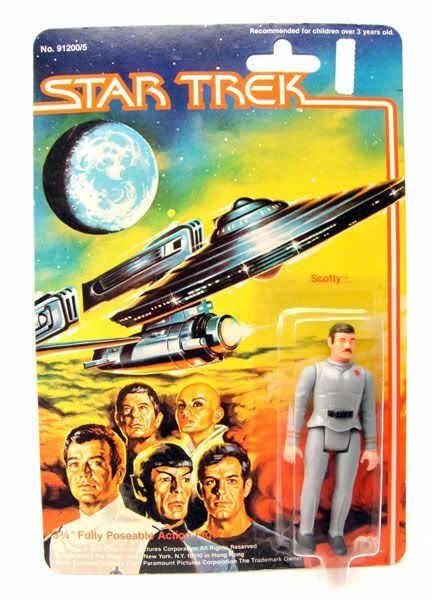 Scotty here may not be the best of the bunch, but it's still nice. 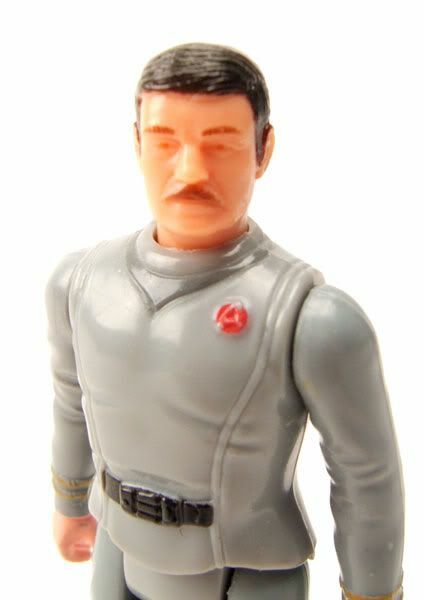 (Quick side note- My friend Troy hates the fact that Scotty grew a mustache in the movies...I don't mind it. Mustaches rule.) The articulation and stance are a bit lacking, but pretty much in keeping with what was able to be done back then. The figure has no accessories, but that doesn't really matter since the hands aren't really positioned to hold them well anyway. The hands are positioned well for when you have him seated on the bridge though. Overall, a good entry into a really cool line. I always wondered why the painted black shoes on here when the pants and shoes were all one piece? Looks odd. 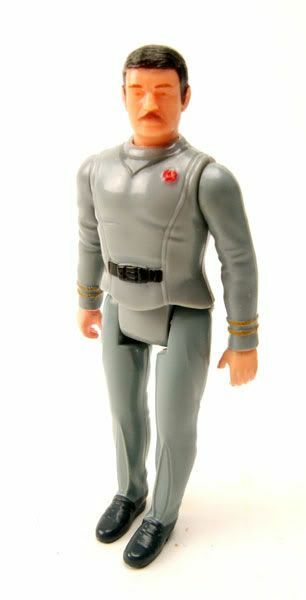 Of all the figures wearing a standard uniform, Scotty's is probably the most screen accurate ( next to Kirk ). I'm sure the shoes were painted just for a little color variation on the figure.